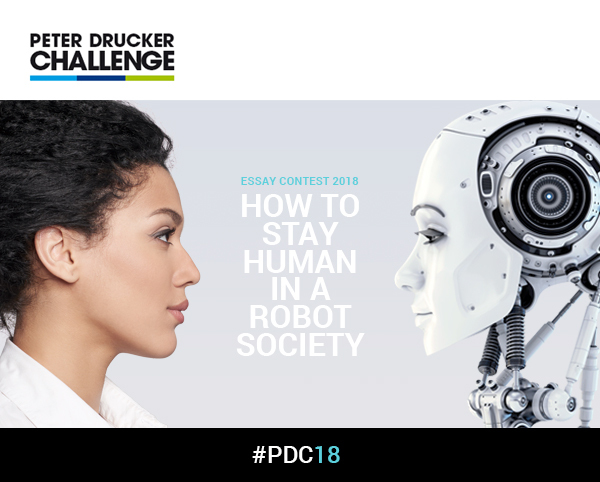 With great pleasure, the Peter Drucker Society Europe wishes to announce the start of the Drucker Challenge Essay contest 2018. It aims to involve the young generation to address the management challenges of our time in the light of Peter Drucker’s management philosophy with the human being in the center. The contest is designed to complement and enrich the interdisciplinary exchange of views and ideas at the Global Peter Drucker Forum. The 10th edition of the Forum will be held in Vienna, Austria, at the Imperial Palace, November 29-30, 2018. Please share this newsletter with those who may be interested. Get a comprehensive overview on eligibility, format, evaluation criteria and prizes. If you wish to participate, please submit your Declaration of Interest. Just click on READY- SET – GO! – you showed interest in Peter Drucker Society Europe's activities.